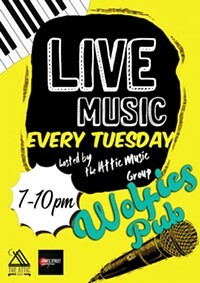 The Attic Music Group is proud to host our new live music series, where we provide regular residencies for performing artists and professional musicians from the Pittsburgh area at Wolfie's Pub. 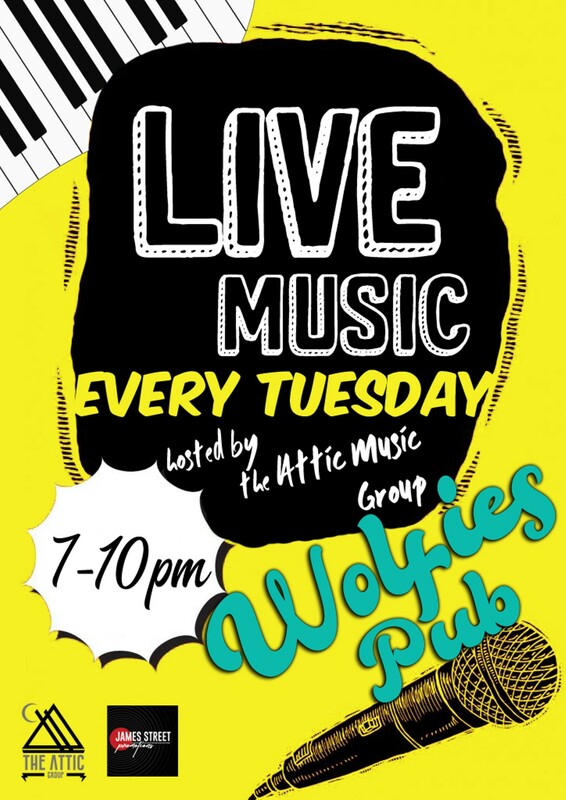 This Month's Residency: The Attic Band About The Attic Music Group: Uniting Pittsburgh musicians to create community, shape a new industry, and showcase our city’s talent to a global audience. The band plays pop, r&b and punk covers with a rotating cast of musicians. Musicians welcome! Come on over to Wolfie's Pub and talk to us about what we're doing and how you can be a part of it.